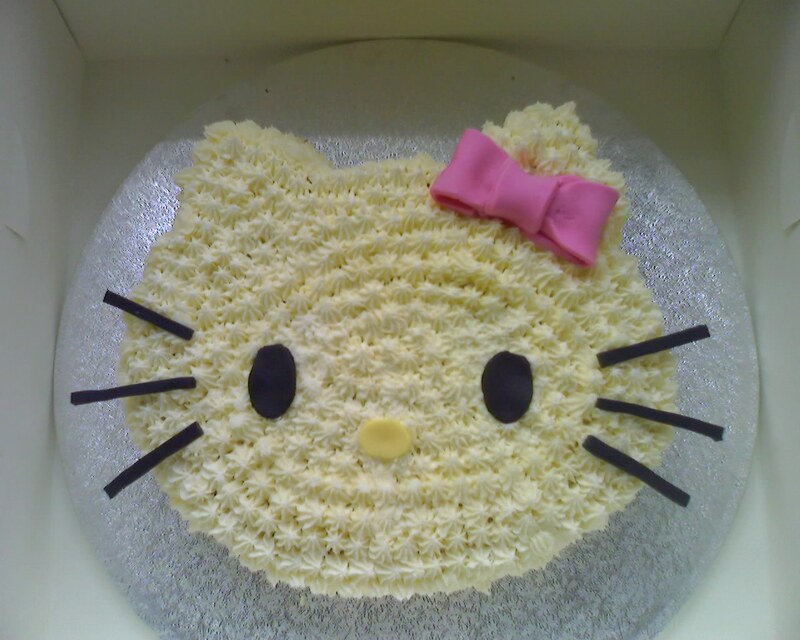 A Hello Kitty cake for a special 5 year old’s birthday. Hope she liked it! The cake was a vanilla sponge filled with buttercream and jam, trimmed to the shape of Hello Kitty’s face, covered in piped vanilla buttercream stars and finished with fondant bow and features. The cake is hand carved from a couple of cakes. I’m not sure of the size but I think I probably used 9 inch cakes.